The Senior Temple Scribe of the supreme water temple, writing an invitation to a village to bring offerings to the temple for the annual festival. 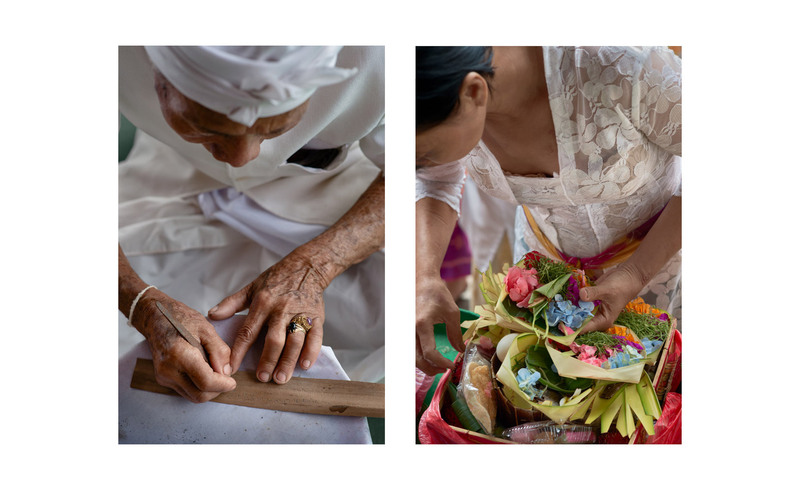 He carves the letters on lontar palm leaves and then rubs soot into them. An ancient poem begins by invoking the god who dwells in the letters of a poem, and in the dust set flying as the letters are carved.